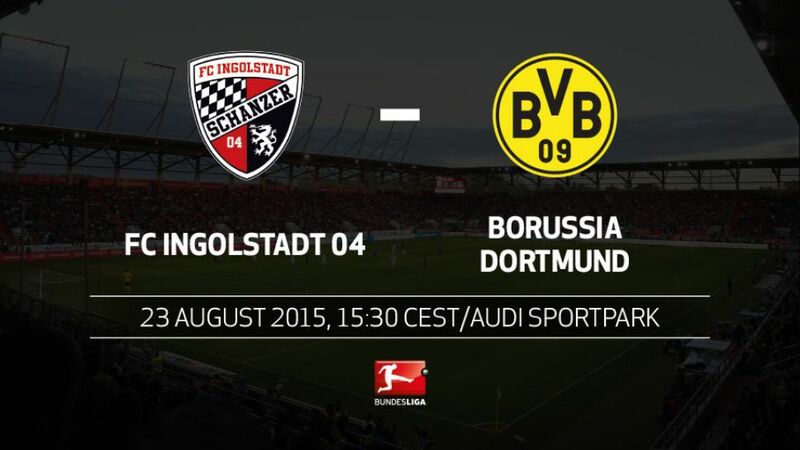 Ingolstadt – History will be made in Lower Bavaria this Sunday when FC Ingolstadt 04's Audi Sportpark welcomes Bundesliga football for the first time, with Borussia Dortmund the guests (kick-off 15:30 CEST / 13:30 GMT). Ingolstadt vs. Dortmund is the 866th different match-up in Bundesliga history.Never before have Ingolstadt hosted a club the size of Dortmund in a competitive fixture. Hamburger SV (in the DFB Cup in 2008) were their biggest opponents to dateIngolstadt are the first promoted Bundesliga side since Hoffenheim in 2008 to have won their first match of the season - the Sinsheim outfit also went on to win on Matchday 2 seven years ago.Dortmund last won their opening match by a 4-0 scoreline in 2013. They went on to win their next four games in the league.Henrikh Mkhitaryan has already scored more competitive goals this campaign (six) than he managed in the whole of last season (five).FCI head coach Ralph Hasenhüttl has faced Dortmund once before - as VfR Aalen head coach in the second round of the 2012/13 DFB Cup. His charges suffered a 4-1 defeat.